A comet soars over Mission San Xavier, near Tucson, Arizona. “Sonoran Hyakutake”, by James Scotti; used by the kind permission of the artist. Sometimes science reveals stunning, overwhelming beauty. Imagine the lacy symmetries of a snowflake. Or the spectacular, simple-yet-complex symmetry of DNA molecules. Finally, Mayfeng said, my favorite. The glory of science is that sometimes you stumble upon something so fundamental and beautiful that you realize you’re in the presence of divinity. Maggots and cockroaches, another dramatic pause. Tompa squeezed her eyes shut, searching for patience. There were crades, and murderers, and who knew what else lurking in the darkness, yet this ghost played around for effect. Pi. Mayfeng rattled out a chuckle. Isn’t that beautiful and awe inspiring? Pi! But this isn’t one of those stories about the stunning beauty of science. Nor about yummy fruit pies. This story is about comets. In ancient times, people saw the unexpected appearance of comets as portents of extraordinary occurrences. For example, the Florentine painter Giotto di Bondone witnessed an appearance of Halley’s Comet in 1301, and it obviously made a great impression on him. 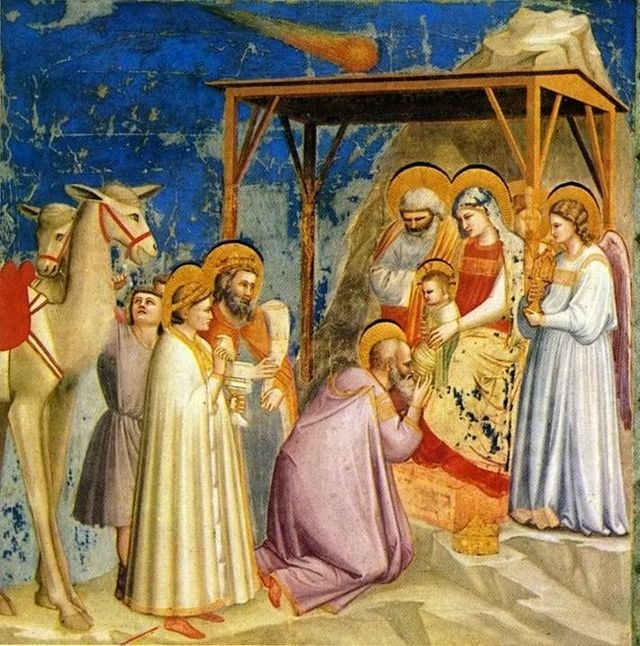 When he painted the Adoration of the Magi, he depicted a comet, not the traditional Star of Bethlehem, above the child. Halley’s Comet in 1066 tolled the knell for King Harold at the Battle of Hastings. 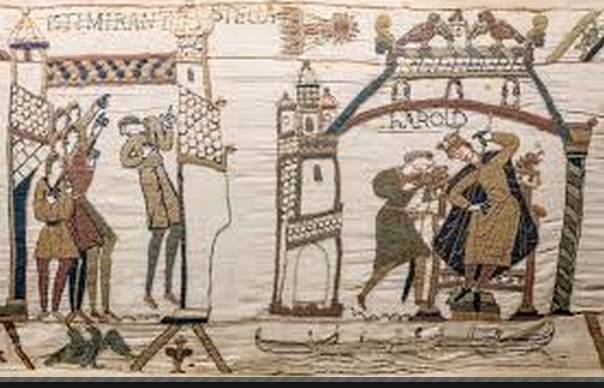 Its depiction on the Bayeux Tapestry, being pointed out to King Harold by his worried aides (at left), is perhaps the most famous image of a comet in history. Comets have fired men’s imaginations all over the world. Ancient Native Americans depicted comets in their rock art. What, then is the glorious reality that science finds behind the glorious facade of a comet? Not quite so lovely, eh? Yet fascinating nonetheless, because this week the European spacecraft Rosetta became the first ever to catch up with a comet. This is a landmark in a decade-long space mission that scientists hope will help unlock some of the secrets of the solar system. 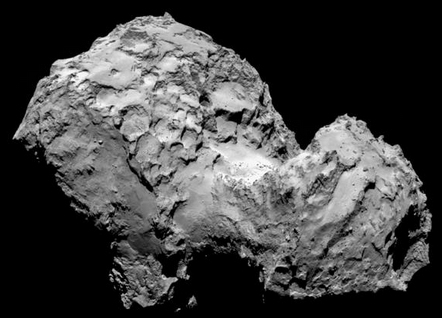 Eventually, a module from Rosetta will land on the comet and follow its progress toward the sun. I plan to follow this incredible story. The landing of the Curiosity Rover on Mars was fascinating, but now scientists are trying to land on some much small, rougher, and which constantly sheds dust. Maybe comets aren’t as beautiful as snowflakes–but they’re a whole lot rarer and harder to see up close. And just think … before now, no one, ever, in all of history, has seen a comet so close. This is a privilege, folks. Appreciate it!